Andrea Bayer. Photo courtesy of The Metropolitan Museum of Art. 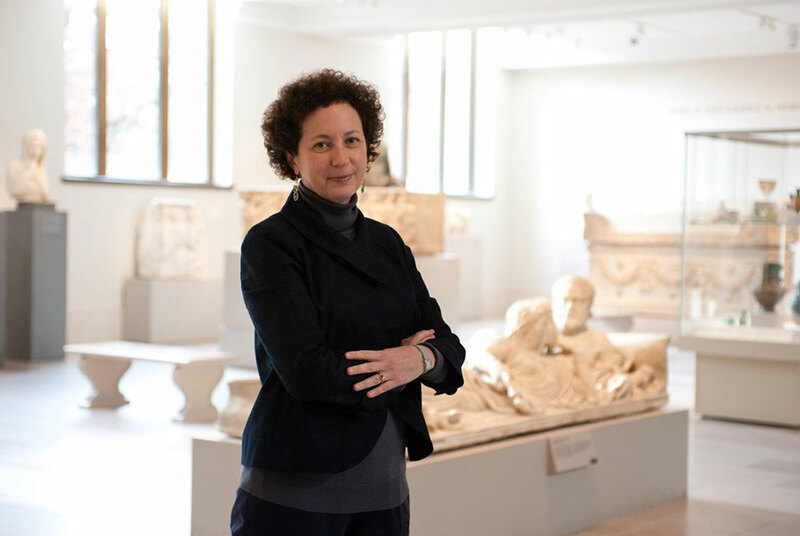 NEW YORK, NY.- Max Hollein, Director of The Metropolitan Museum of Art, announced today that Andrea Bayer has been appointed Deputy Director for Collections and Administration. In May 2018, Ms. Bayer was appointed Interim Deputy Director for Collections and Administration, continuing in her position as Jayne Wrightsman Curator in the Department of European Paintings. "Andrea Bayer is a highly respected scholar, an imaginative exhibition curator, and an esteemed colleague at The Met," said Mr. Hollein. "Throughout her time as Interim Deputy Director and before, she has shown exceptional leadership and great loyalty to our beloved Museum. I have been deeply impressed by her commitment and capabilities during my first few months as Director of the Museum and am excited that she has just accepted our offer to become Deputy Director." "As Curator in the Department of European Paintings, often working on projects that went across multiple departments, I know how rewarding it is to work alongside colleagues throughout the Museum," said Ms. Bayer. "I am thrilled to take on this new role, one which will allow me both to support the Director and continue to collaborate with these colleagues on an institutional level." Since joining The Met's Department of European Paintings in 1990 as a scholar of Italian Renaissance art, Andrea Bayer has curated groundbreaking exhibitions including Dosso Dossi, Court Painter in Renaissance Ferrara (1999); Painters of Reality: The Legacy of Leonardo and Caravaggio in Lombardy (2004); Art and Love in Renaissance Italy (20089); and the current exhibition Celebrating Tintoretto: Portrait Paintings and Studio Drawings, with Alison Manges Nogueira, Associate Curator in the Robert Lehman Collection. Ms. Bayer also co-curated Unfinished: Thoughts Left Visible, one of the inaugural exhibitions at The Met Breuer. She was named Curator in European Paintings in 2007 and was appointed Jayne Wrightsman Curator in 2014. Ms. Bayer served as Interim Head of Education in 200809, and for six years acted as coordinating curator for the Curatorial Studies program with New York University's Institute of Fine Arts. Ms. Bayer is also Co-Chairman of the Director's Exhibition Committee. In addition to authoring numerous exhibition catalogs, Ms. Bayer has written two Museum Bulletins and recently co-authored two articles for the Metropolitan Museum Journal: "Andrea del Sarto's Borgherini Holy Family and Charity: Two Intertwined Late Works" and "An Examination of Paolo Veronese's Portrait of Alessandro Vittoria," both in volume 52 (2017). Andrea Bayer studied at Barnard College and Princeton University, and received her Ph.D. from Princeton University in 1990.